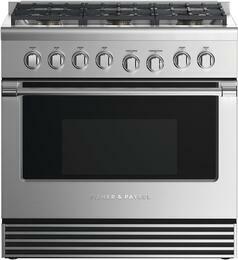 Ranges combine a cooktop and an oven in one appliance. The industrial design of these cooking combos is not only space saving, but also creates a stylish focal point in any kitchen. 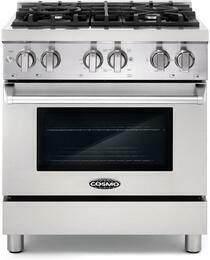 Models are available in freestanding, slide-in, and drop-in configurations. Slide-in ranges are installed in between cabinets and are great for a seamless look across the kitchen. 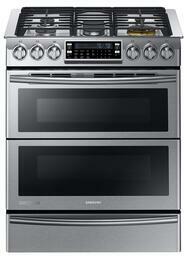 Drop-in ranges are integrated with custom cabinetry that provides a high-end look. 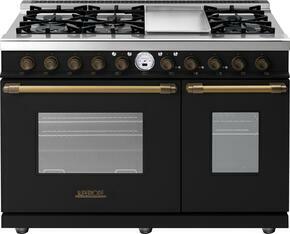 For a more flexible installation, freestanding ranges have finished sides that allow them placed almost anywhere. 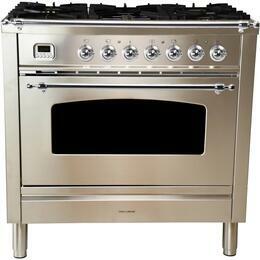 Cooking stoves vary in size from 20 inches up to 71 inches in width. 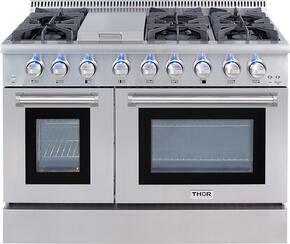 They can have up to 10 burners / elements on the cooktop, making it easy to prepare a multi-course meal. 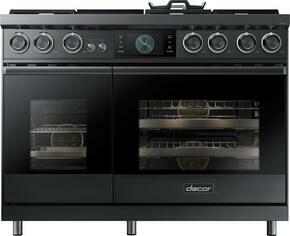 With up to a spacious 7.8 cu ft oven capacity, large holiday roast won't be a problem to cook. 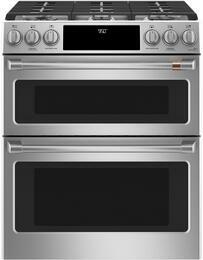 Some ranges also feature a double oven, along with bottom drawers that can be used for broiling, warming, or as storage. 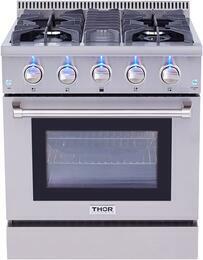 Find a fuel type that suits your culinary needs. 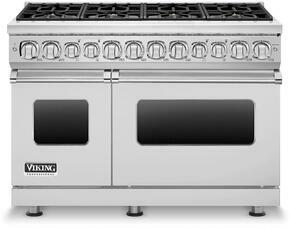 Gas ranges can deliver professional performance and get the flame started using natural gas or liquid propane, depending on household amenities. 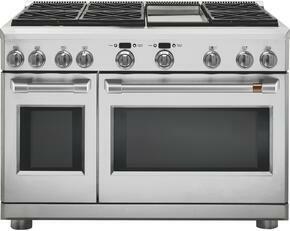 Many cooking surfaces have cast iron grates which provide allow pots and pans to slide from one sealed burner to the next. 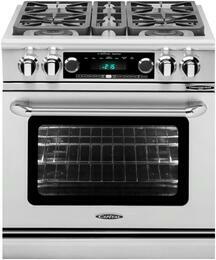 For stoves that don't require an open flame, electric ranges are available with a smooth top or with coil elements. 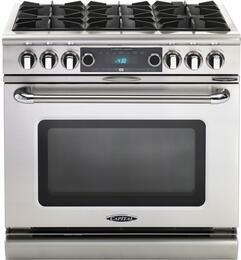 Some electric stoves use induction technology, which turns compatible cookware in the cooking surface. 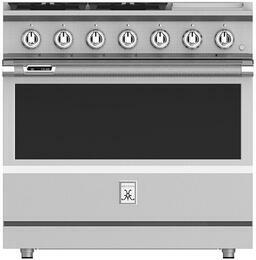 For the best of both worlds, dual fuel ranges, with gas cooktops and electric ovens, are an excellent choice for culinary endeavors. 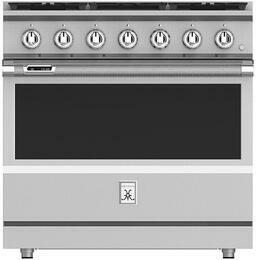 From adjusting temperatures to selecting a cook mode, ranges are designed with the latest innovations that will make it effortless to operate. Some function as a smart appliance where by downloading a proprietary app on your smart device, you will be able to control and monitor the cooking process from anywhere. A few are easily usable by virtually everyone, as they are ADA compliant. Select from stainless steel, black stainless steel, graphite stainless steel, green, orange, pink, purple, red, yellow, white, black, bisque, black slate, blue, brown, bronze, and silver finishes to match your aesthetic taste. 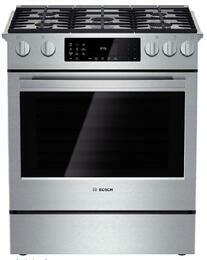 Some finishes are even fingerprint resistant to reduce the appearance of smudges. 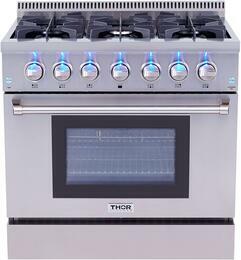 Explore cooking ranges from trusted brands such as Viking, Wolf, AGA, and more to enhance the kitchen experience. 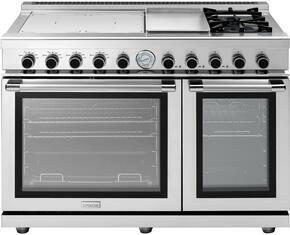 Selected Exterior Width Options: 48"
Get up to $900 off* any Flex Duo Range. 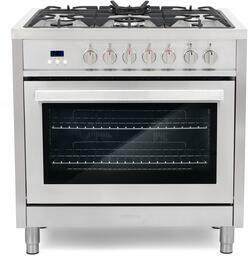 *total savings calculated based on regular retail prices; includes combination of retailer and manufacturer discounts on Flex Duo range models, including advertised 10% discount.